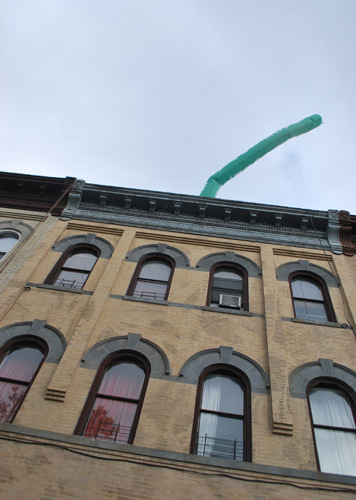 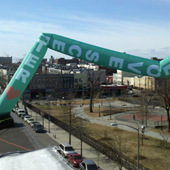 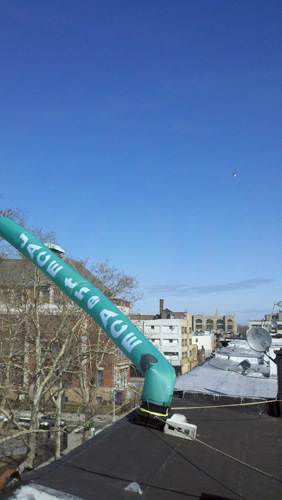 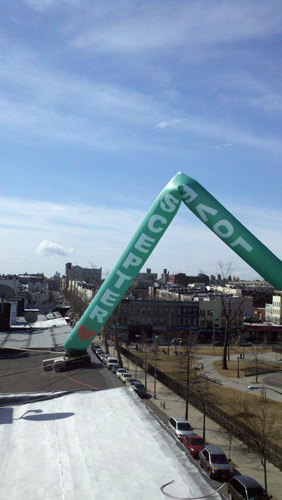 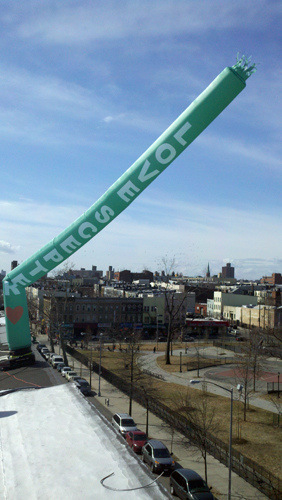 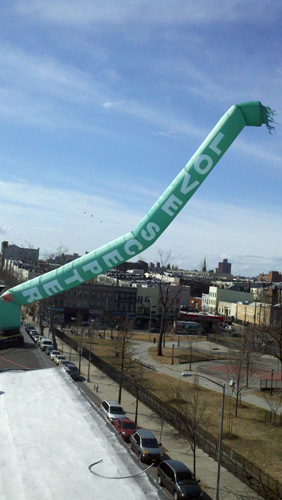 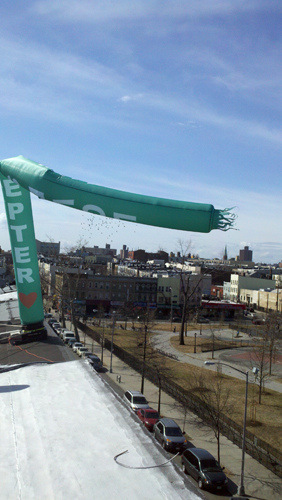 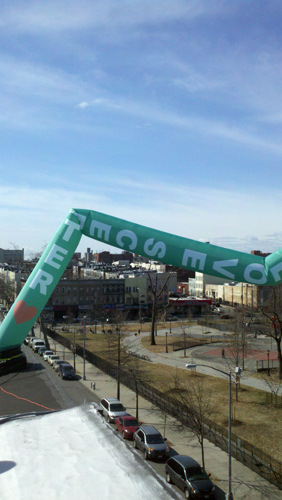 For the 2011 Bushwick Site Fest, I presented a tribute to my lover, Jason Robert Bell: a 20ft. 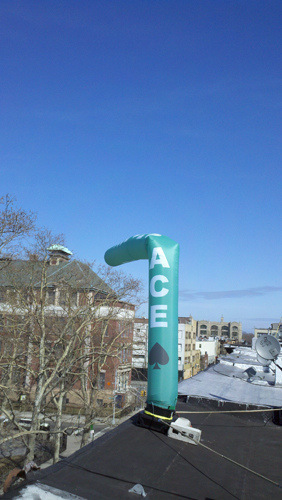 inflatable sculpture installed on the roof of my building. 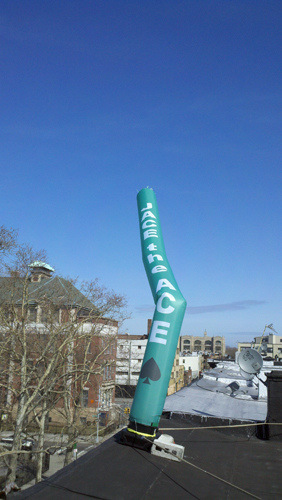 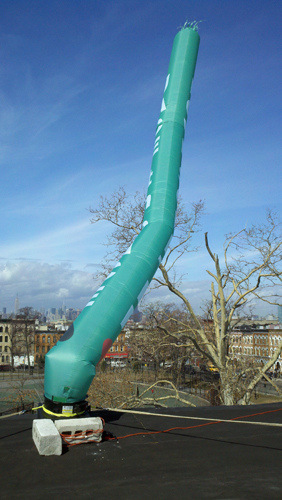 The green tube dancer read ‘Jace the Ace’ on one side and ‘Love Scepter’ on the other, and was visible by all throughout the weekend from the area surrounding Maria Hernandez Park.